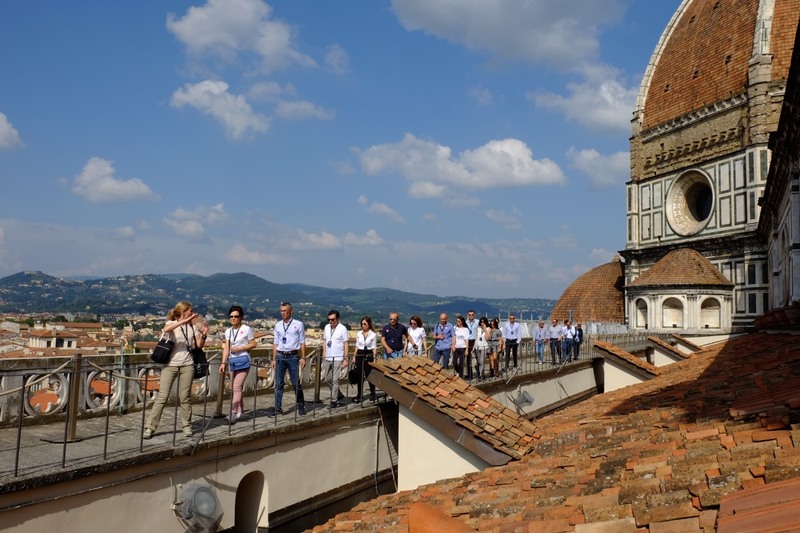 If you are coming to Florence you should add to your list the tour of the Duomo terraces: it’s a unique experience to do at least once in your life! 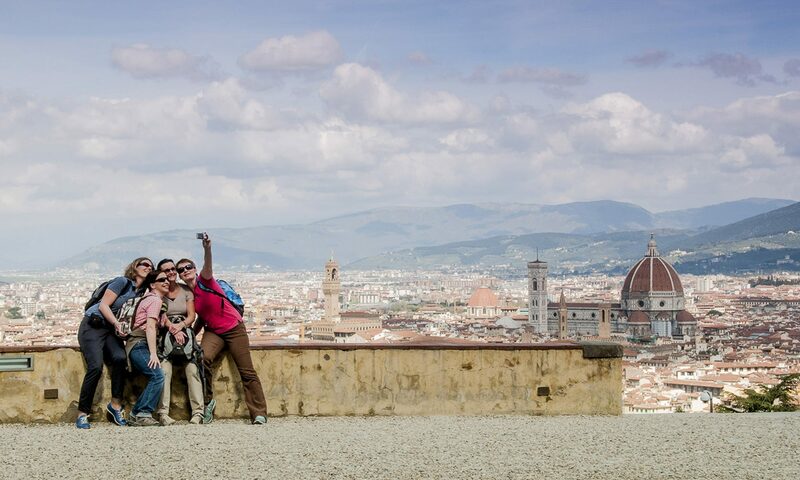 Below we listed some of the reasons that make this Florence exclusive tour a must-to-do. 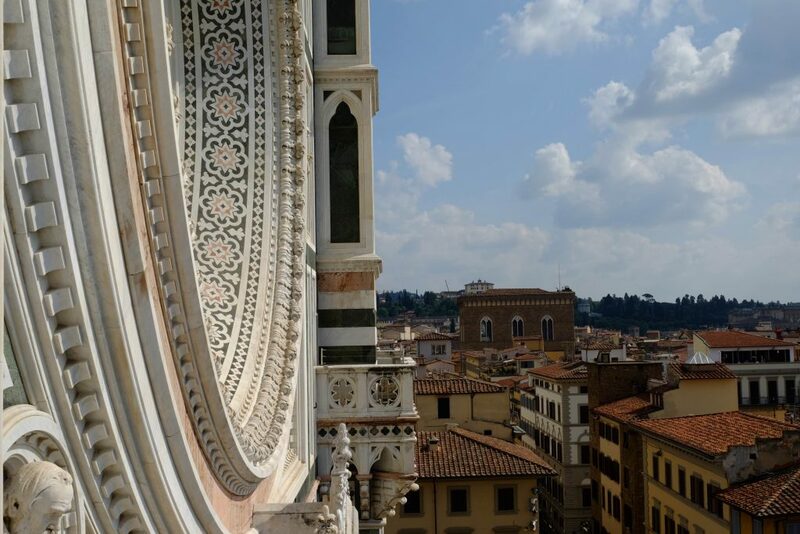 The Duomo terraces run along the sides of Florence Cathedral and ends on the facade, providing incredible views over the city and Piazza Duomo. The Duomo terraces are located at 32 meters of height and can be easily reached by climbing about 150 steps after passing though a secret passage next to the main entrance. 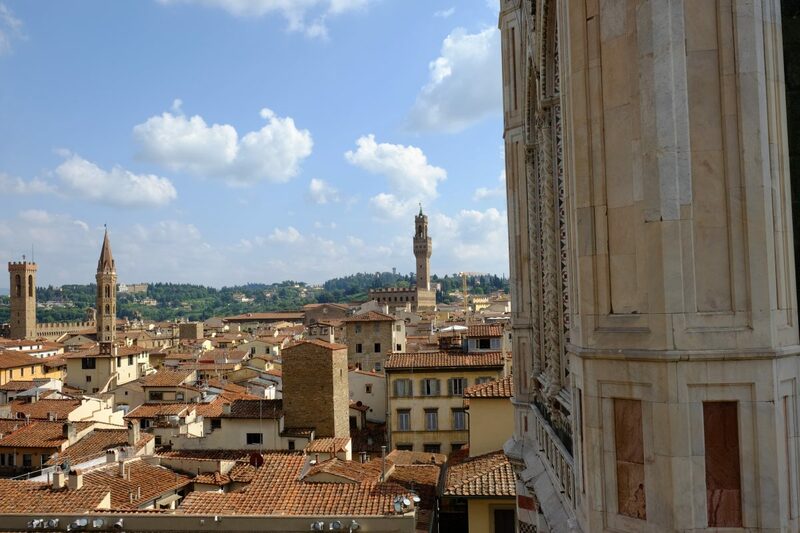 From these exclusive balconies over the city of the Renaissance, you enjoy the best view over Florence roofs, city center and monuments; in addition from the terraces you can admire and touch the magnificent Cupola, built by Brunelleschi. The tour of the Duomo terraces is the opportunity to learn secret and funny stories that only few local experts know. For example while walking on the terrace overlooking Via de’ Servi you can see the large head of a bull, that is related to a story of love and betrayal happened in the Renaissance when the Cathedral was under construction. 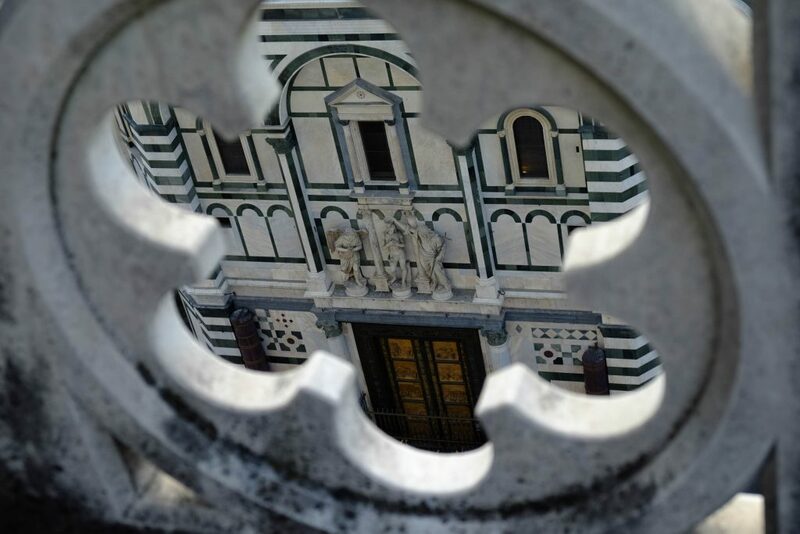 From top of the terraces you have the opportunity to admire the unique details of the marble decorations of the rosone window of the facade: the decorations look like a marble embroidery! 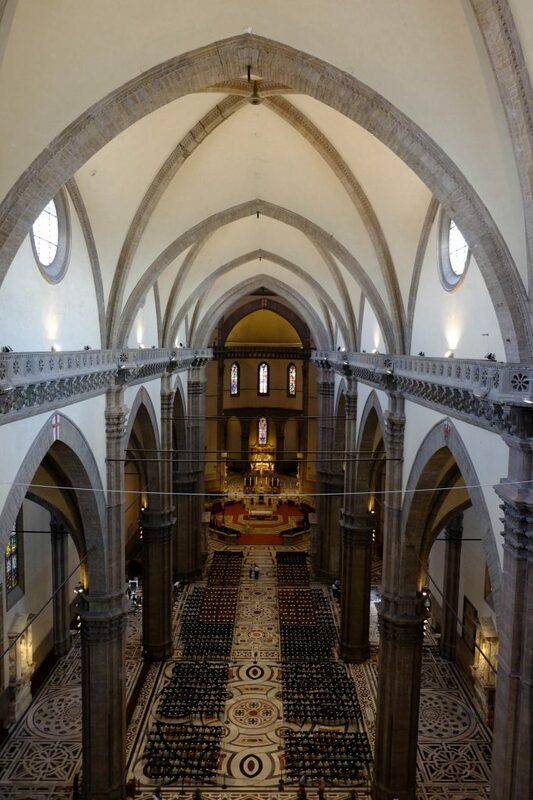 In addition from the balcony that passes behind the rosone window, you see the optical illusion of the cathedral’s floor that looks like a marble funnel. Last but not least, you pass through a secret passage to reach the terraces: the invisible door is located next to the main entrance, but you cannot see it if you don’t know where it is! 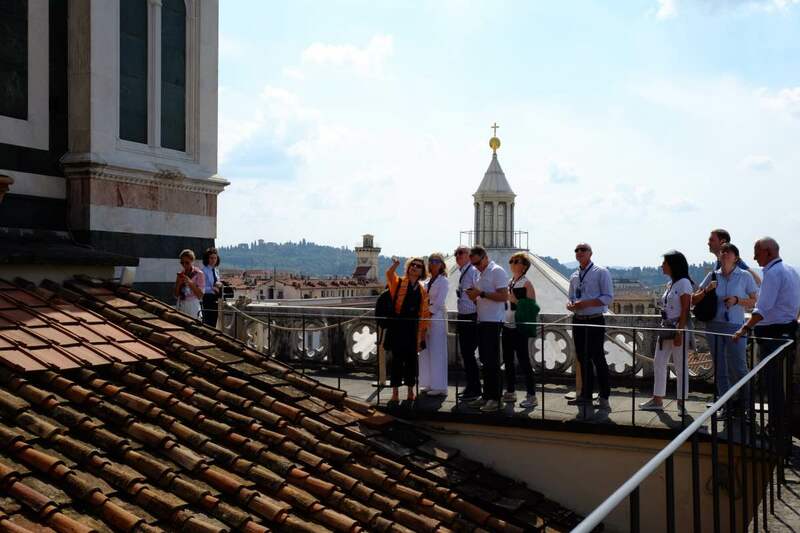 The terraces of the Duomo are NOT open to the large public: you can access ONLY with private and organized tours. The tour is a special opening and therefore its price is above-the-average; only the ticket costs 50€ per person (for groups are up to 25 people). 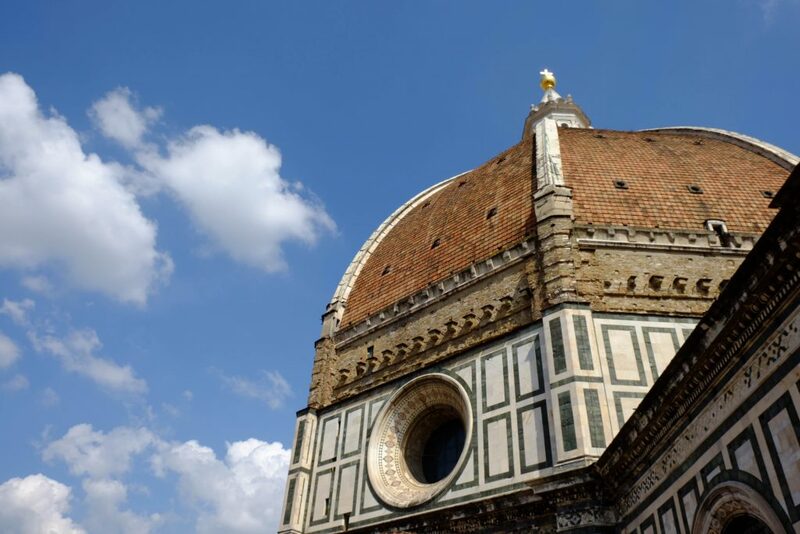 The ticket includes the 72hours ticket to visit the Cupola, the Bells Tower, the Museum, the Baptistery and the Cathedral. Enter your name and email and we are going to send a special promo code for your next guided tour with us! I agree to EX.ART 23 DEL D.LGS N196/2003. Read privacy note. Previous PostPrevious Welcome to LUCIA, Your Luxury Travel Designer!